South Designs, Inc. is an award winning architectural firm specializing in custom homes in the surrounding areas of Raleigh. With over 30 years in the industry, our mission is to provide superior customer service and innovative designs with a personal touch, to our clientele. Please feel free to message or call to request information on our services. We look forward to hearing from you! Michael Parsons, AIA is an Architect and a Builder. With more than 15 years of experience, he has completed the design, construction, and management of many types of building projects. His work has included everything from the large multimillion dollar structure to the smallest renovation. 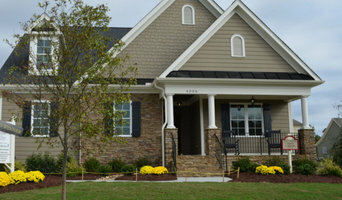 Michael has a Master of Architecture degree from NC State University, and is a Professor in Practice at his alma mater. Construction services are through Michael Parsons Builder, LLC please visit that Houzz.com profile for more information. 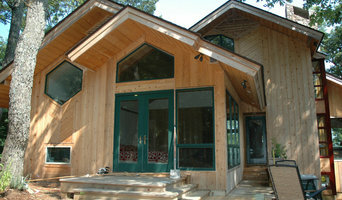 Here at Ron Cox Architecture we are site and budget sensitive, client specific, functional and aesthetically Enduring. We specialize in new residential design, renovation and additions as well as commercial architecture and restaurants. EA Studio is a full service architecture firm, specializing in both contemporary and traditional design. We care deeply about each project and strive to listen carefully to the needs of our clients. We see each project as presenting it’s own unique challenges and opportunities, and our goal is to take all factors into account to provide a complete solution and timeless design quality. Full service Architectural firm celebrating over 20 years in business. BBB rating A+. Serving North Carolina, South Carolina and Virginia. A Passion for What We Do Since opening our doors in 2008, we have focused on three core principles vital to our growth. Effective Communication We believe the success of any endeavor is predicated on the proper application of effective communication among all stakeholders. This is woven into all parts of how we do business. Thoughtful Design We strive to get to know our clients and become invested in their future. In our experience, that is the only way to truly understand a project and the many complexities that always accompany growth planning and implementation. Consistent Results Because we approach our clients with the long-term in mind, we have a track record of leading projects successfully. We are a results oriented firm with a focus on understanding the details of your project and presenting them in a simple and concise way. 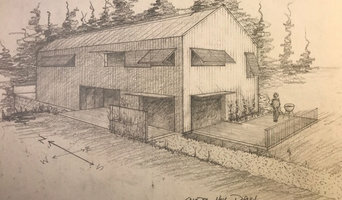 Ken Peterman is a registered architect based in Chapel Hill, North Carolina whose goal on every project is to design high quality, environmentally responsive buildings that are delightful and satisfying for the people who live there. 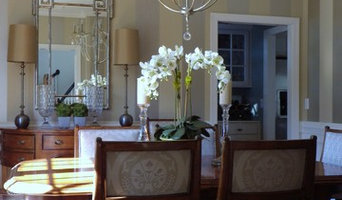 His practice mainly focuses on private homes, including both new construction, and alterations to existing buildings. We have a passion for preservation of indigenous American vernacular, and a commitment to delivering timeless designs. Our purposeful designs, creative solutions, and authentic period emulations embrace flowing stylistic consistency. Through the design of unique custom homes and tasteful additions with attention to detail, scale and proportions, we provide lasting value. A small architectural firm located in Clayton, North Carolina specializing in custom homes, commercial projects and religious facilities. Tise-Kiester Architects, P.A., is a professional Architecture and Planning firm offering a full range of design and documentation services. Founded in 1987, the firm has developed a large and diverse portfolio of projects throughout the Southeast. Services include assistance with site analysis and selection, programming, master planning, document development, construction observation, and project closeout.